Delaware-based Dogfish Head is anything but timid when it comes to their product. 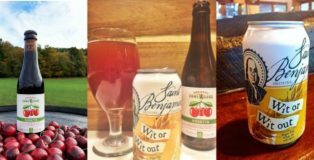 From beers made with space rocks to colorful creations that combine beer and wine, the brewery most known for their intensely-hopped IPAs has made it a point to expand their creative profile beyond just beer into the lucrative distilling space. 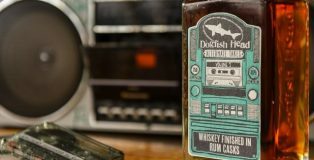 After experimenting with small batches of spirits in as early as 2002, Dogfish put their foot in the ground in 2015 with the launch of their new distillery which creates 100 percent scratch-made gin, whiskey, rum and vodka at their Milton, DE location. Now, the ambitious brewery and distiller is taking things one step further with the launch of their Alternate Takes spirits program that aims to shake up the traditional liquor you see on your local liquor store shelves. This recipe is featured on These Are My Storys. When you think of Cinco de Mayo, what comes to mind? I think of margaritas, guacamole, lots of fajitas and, of course, cervezas! 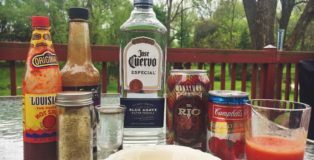 Capitalized on by the beer industry in the 1980’s, Cinco de Mayo has become synonymous with parties, fun, and lots of booze. 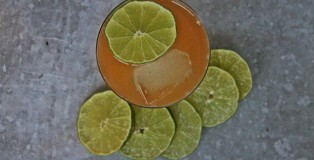 So, in honor of this 5th of May, I decided to take my own spin on a cerveza with two variations of beer cocktails. Both pack a spicy kick, yet are refreshing and go down so easy! 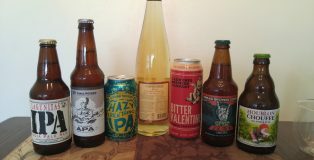 To create these cocktails, I decided to use a local Philadelphia brewery’s version of a Mexican-style lager, Manayunk Brewing Company’s El Rio. It’s about that time everyone. You know what I’m talking about. It’s about that time where you’re going to be snuggled up close and personal with your family for an extended amount of time. 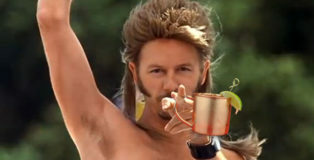 And whether you love em’ or could live without em’, a tall, stiff drink does a body (and peace of mind) good! 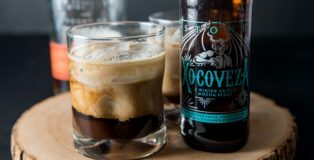 When a cold glass of beer won’t scratch that ugly sweater party itch, enter the beer cocktail as a very important part of your Holiday survival guide! A while back I started to notice copper mugs at a lot of the bars in Seattle. I soon realized that Moscow Mules were one of the most popular cocktails among my group of friends. For one they are almost always made consistently good and they taste fresh with a little bit of spice from the ginger. Confession: The first time I went to a horse race I never saw a horse. I was there for the party and was hanging out in bluegrass fields mixing cocktails. Which brings me to the event of the year happening this weekend, The Kentucky Derby. Bourbon will be flowing, southern food will be frying and seersucker will be dancing. The royal cocktail of the weekend is the mint julep, which is laced with bourbon, mint, and simple syrup (water and sugar). What could be better than this southern tradition you ask? Adding craft beer to the mix. 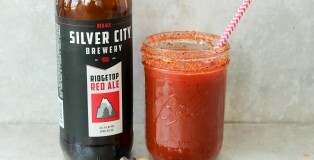 Today I am sharing a recipe that will help you add a zest to your typical red beer or Bloody Mary. 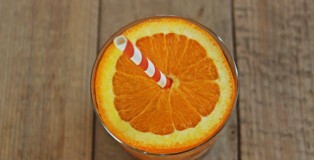 This recipe is super simple and can also act as a major hangover reliever. 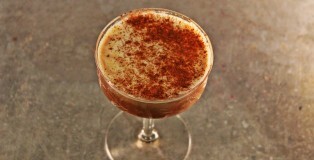 This is also a fun and easy cocktail to serve at brunch or even for lunch. I had this cocktail today for lunch and it was quite addition to my detox salad. This Red Ale comes from Silver City Brewery out of Silverdale, Washington and has been up and running since 1996. 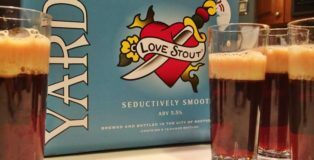 The Red Ale is a very approachable and versatility beer that compliments most food items and is the prefect candidate for a beer cocktail. Today I am sharing a classic cocktail made with two ingredients. It is simple, good and refreshing. 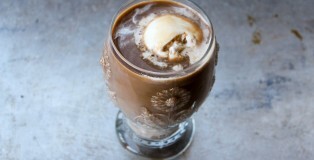 This drink is made with Blackstone Porter, which is made at Driftwood Brewery out of Victoria, British Columbia. This porter is a London style porter that has notes of bittersweet chocolate with a blend of caramel, black and chocolate malts and it has an ABV of 6%. 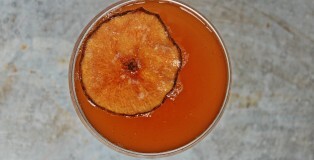 The porter is mixed with champagne and garnished with a lemon twist. Let’s make a fun and easy drink together with porter and champagne! 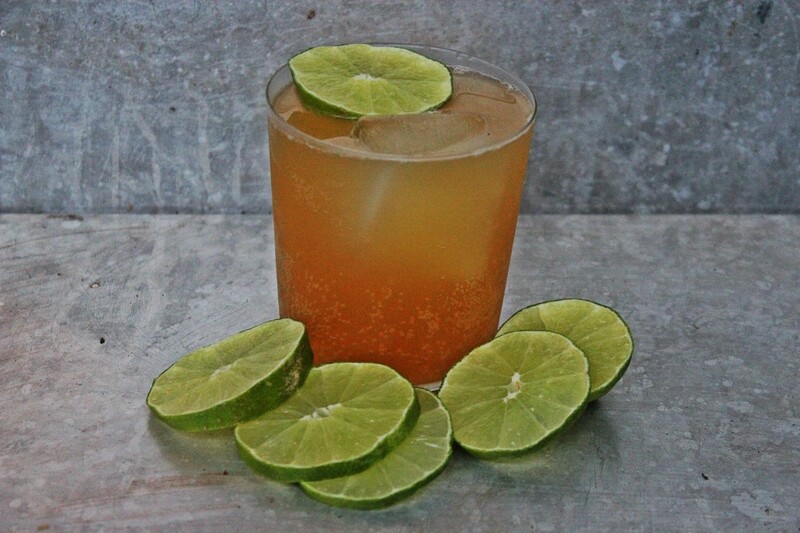 Today I am sharing a beer cocktail recipe that contains bourbon and beer! What could be a better combination? I love making beer cocktails because they are so fun and refreshing. I used golden ale from Bad Tattoo Brewing out of Penticton, British Columbia. The golden ale is smooth and made with old world hops and crystal malts. The lightness of beer makes it perfect for a beer cocktail because it does not overwhelm the flavor of the cocktail. It is called ACP, which stands for Achieve, Conquer, and Persevere. The recipe is adapted from the cocktail Mister Three Step By John McCarthy, from Cedar Local + Bathtub Gin in NYC. 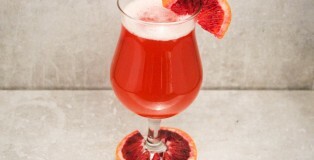 I have made a bunch on beer cocktails in the past but have never used Campari. Let me tell you that the Campari and bourbon in this recipe is the perfect combination. 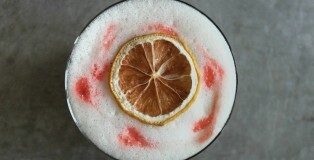 Have you ever tried any Campari beer cocktails? Today I am sharing a recipe that will help you ring in the new year with a beer cocktail bang! This beer cocktail is not only light, it is super tasty. It features two crafty delights including Spinnakers Queen Bee Honey Kolsch (formerly 2014 Happy New Beer) and 3 Howls Blood Orange Vodka. 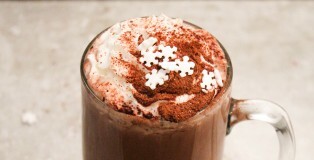 Spiked Hot Chocolate = Bourbon + Beer + Hot Chocolate! 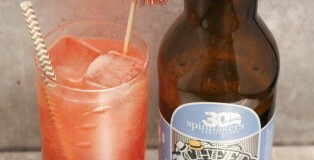 Today my recipe highlights beer from 33 Acres Brewing Company located in Vancouver, Canada. I visited the popular tasting room on a typical stormy night in Vancouver and it was packed. 33 Acres has a sleek and modern tasting room that almost resembles a New England hipster coffee house. Beaming white washed boards and elegant clean lines with adorning taps make for an apeasing aura. The holiday season is upon us and I am ready to drink some whiskey. 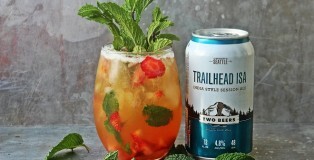 What better way to celebrate then a whiskey beer cocktail? The porter used in this cocktail is from Russell Brewing Company out of Strawberry Hill, Surrey, British Columbia.